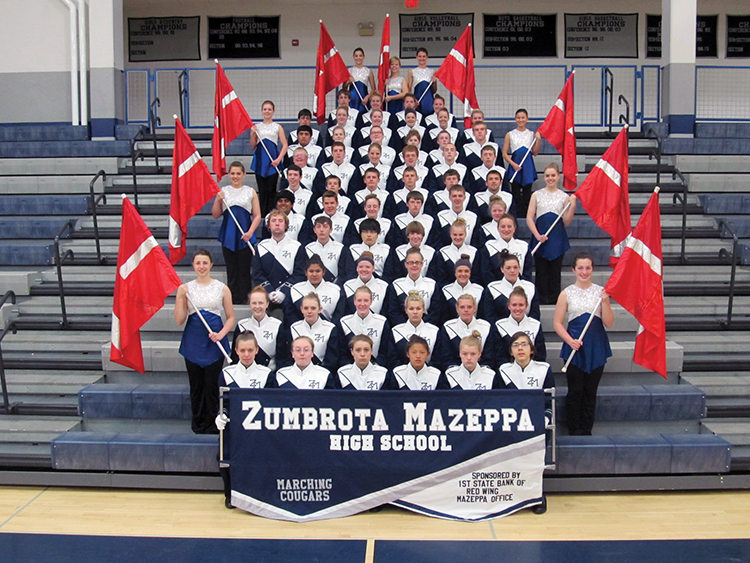 Twelve bands will be marching in this year’s parade, including one from as far away as Minnesota and two from Pacific Palisades. One of the new bands to watch for is the North Valley Military Institute Marching Band, consisting of 25 members who had never played an instrument before last August. 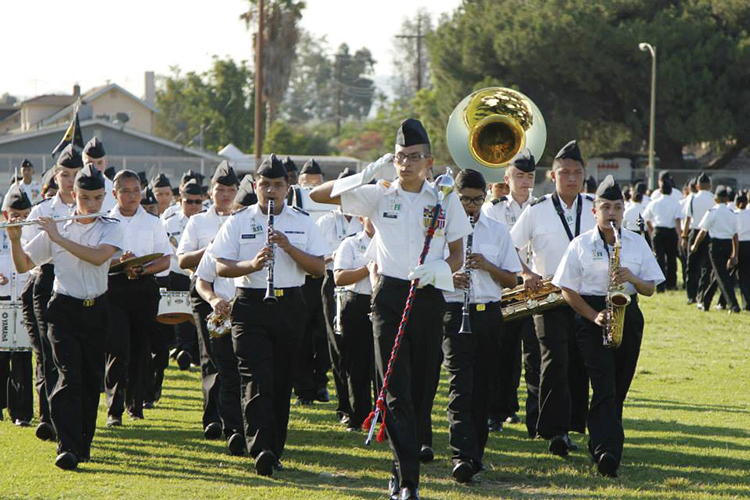 Overcoming this initial lack of experience, the band (representing the only military charter public school in LAUSD) has now played and marched in seven events, and will be performing an American Armed Forces Medley and a Patriotic Medley. The North Valley Military Institute Marching Band. PAPA, the parade organizing committee, works with Pageantry Productions, an events company with considerable parade experience, to have a variety of new and returning bands and styles of music in the parade. Pageantry’s David and Elizabeth Sarell are coordinating the parade line-up, as well as the Huntington Beach parade that morning, and several bands will be marching in both. The Watchmen Drum & Bugle Corps will be marching in the parade for the first time,although the group’s executive director, David Becker, marched here in his youth with the Sound Machine of the Inland Empire. The 84-member, Riverside-based group will play “America, The Beautiful,”“My Country, Tis of Thee” and “Battle Hymn of the Republic.” The drum line will play throughout the entire parade. The Cougars are a concert band for most of the year. During the summer, the stu- dents practice marching from 6:15 to 9 a.m. for six weeks, and play local parades most weekends. 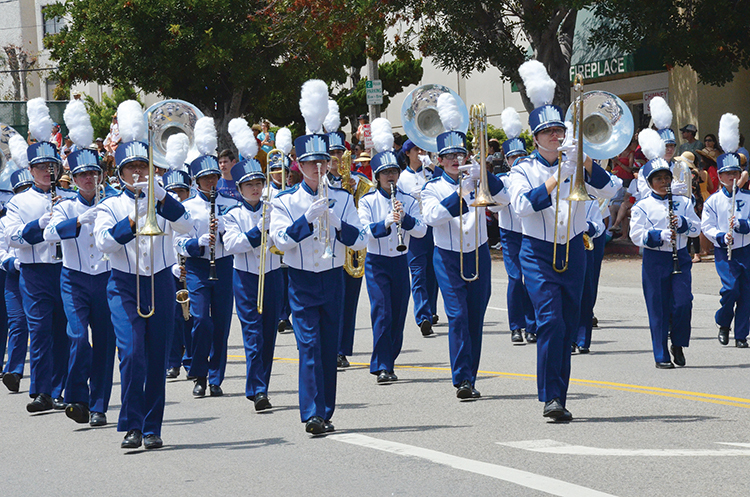 The Villa Park High School Band from Orange will make its fourth appearance in the parade. The Marchin’ Spartans, dressed in their cadet-style white, black and blue uniforms, are an 80-plus member unit, under the direction of Charles Jay. Attorney Rob Weber, this year’s parade marshal and a former PAPA president, is also a musician who has a passion for the parade’s bands. 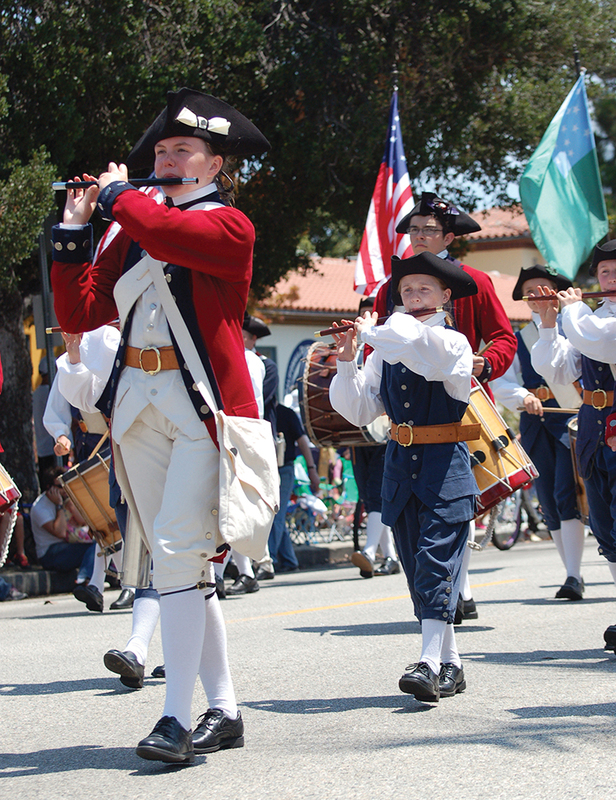 The Mountain Fife & Drums are returning for the second time. “There are very few groups like this on the West Coast,” says Weber. “It’s a real treat to get a group like this; they capture the spirit of the day with their tri-cornered hats and red, white and blue Revolutionary War-era costumes.” Also returning will be the Incognito Drum and Bugle Corps from Garden Grove, the Norwalk All-City Youth Band, Rancho La Laguna (equestrian/banda) and the Pasadena Scottish Pipes & Drums Band. The Combined Palisades High School Paul Revere Marching Band has also been a beloved part of the parade for more than a decade. The award-winning PaliHi band plays at weekly football games and enters marching band competitions throughout the year.